Contact is the premium standard for all book covering needs. Made from high quality clear gloss polypropylene. 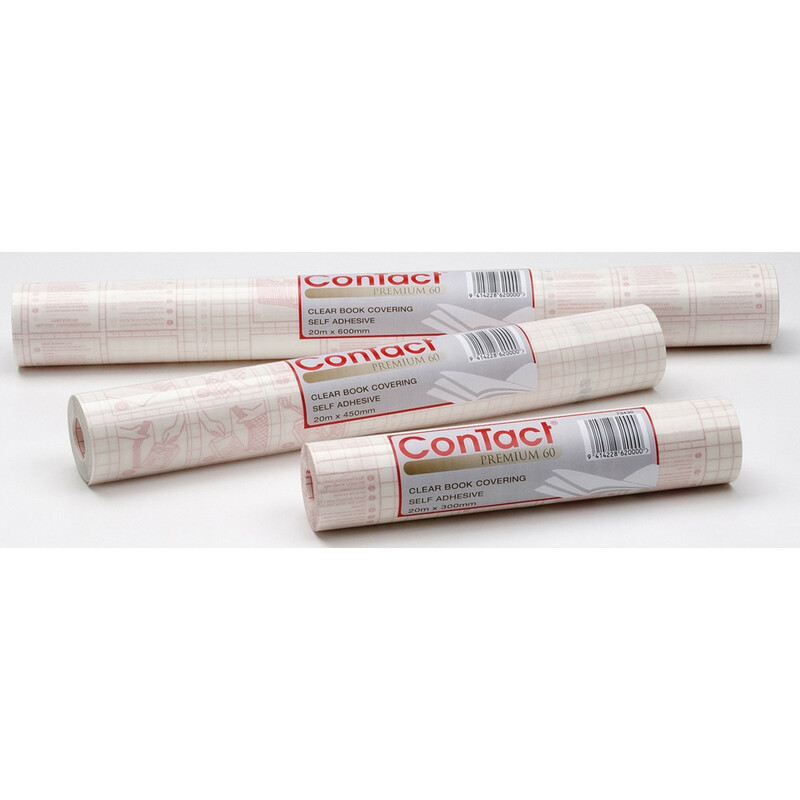 Non ageing water based repositionable permanent adhesive. Available in 300mm, 375mm, 450mm, 600mm & 900mm widths. 20m lengths. Red grid backing paper with instructions.